No more soup on the menu? My husband and I love the vegetable chili. Julia, do not fear—although it does not currently appear on our online menu, soup has not disappeared from the Café’s selections! We still offer 3 soups on the menu each day, one of which is always the much-loved vegetable chili. Upon entering the cafe, please check the chalkboards for special offerings and soups for that week. the garden cafe is beautiful & the menu enticing, BUT it is CHAOS. So poorly organized that it’s impossible to get your food & one is forced to wander the cafe to get beverages & ice, for example, which are far away from each other. Needs a re-org by someone who knows how to run a cafe. Thank you for taking the time to give your feedback regarding the newly renovated Garden View Café at the Chicago Botanic Garden. Your feedback helps us to better serve our members and visitors. One of our goals in the renovation was to closely align our visitor’s experience outside in the gardens, with the experience they have inside the Café. This includes having the design of the space mirror the architectural integrity of the rest of the Garden’s buildings. We understand your frustration as the new café is very different than the old one. We ask for your patience, as each day we continue to make tweaks in the operations to improve the flow. Unfortunately some decisions had to be made, that we, too were not especially happy about, but had to make because of mechanical or structural issues of the building. This includes placement of the ice machines. Please be assured that we have taken your remarks and suggestions seriously. I will continue to share all the comments with the Café Manager, Chef and staff, who are working hard to meet the needs of our members and visitors. Was looking forward to lunch at the new Cafe, only to find they were out of food except for cold sandwiches that I could get at ant 7-11! Very disappointed. 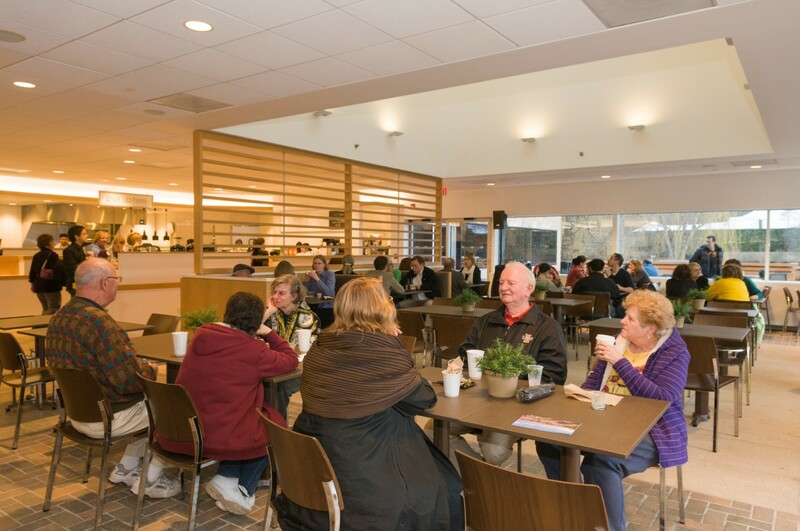 Thank you for taking the time to give your feedback regarding your experience at the newly renovated Garden View Café at the Chicago Botanic Garden. http://www.chicagobotanic.org/cafe/menu. The café is open until 5 p.m., but from 2 to 5 p.m., selections are limited to our grab-and-go items and barista bar. If you were in the café before 2 p.m., then for sure I want to know about that. If the volume of customers warrants keeping the made-to-order food operation open past 2 p.m., then of course, that is something we will do in the future. With uncertainty in the weather, especially lately, and therefore a fluctuating volume of visitors, the existing schedule helps us to reduce our operating costs. 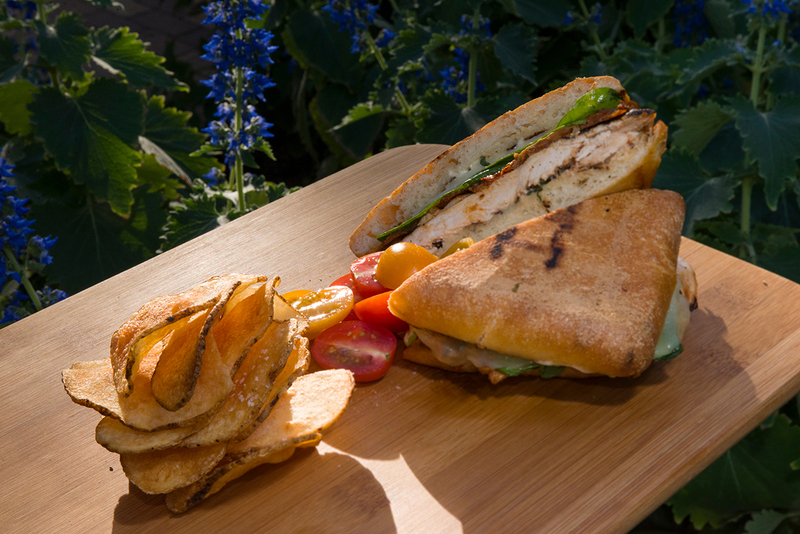 Once the Garden View Café switches to our Summer Evenings hours, there will always be hot, freshly made food available at the Garden Grille (on the café’s deck) from 11 a.m. to 8:30 p.m. The Garden Grille will open June 7 and remain open daily through Labor Day. Please be assured that I have taken your remarks and suggestions seriously. I will continue to share all feedback with the Garden View Café manager, chef, and staff, all of whom are working hard to meet the needs of our members and visitors. I hope you will be able to return an experience our new menu. Yesterday my husband and I were up visiting and we stop to have Breakfast there. Oh my gosh I was in Heaven I had the First Harvest Omelet and my husband had the Farmer’s Breakfast. It was so good. Then latter on we stopped and had ice cream scoop. It was a wonderful time to come and visit the Garden and Good food does help. Wish I could get some of your recipes to make some of the foods you have listed to eat. 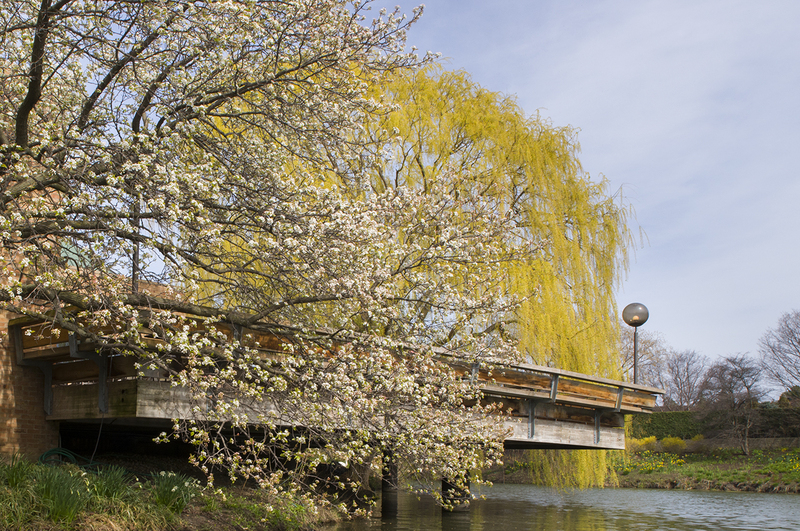 Really enjoyed the Chicago Botanic Gardens and was pleasantly surprised at how good the food was at the Cafe. I had the Garden Spring Chopped Superfood and it was delicious. I look forward to coming back and definitely will eat the salad again. I should have asked in my last comment. Any chance I could have the recipe for the Garden Spring chopped superfood? I was at the Garden on Sunday, June 1, 2014, for breakfast. It was chaos!! There was no indication on the menu about the best part of the old café: the make your own omlette. By the time the food arrived at our table it was no longer hot. Two pieces of toast should have two pats of butter. Did you change the vendor of your sausages? The previous ones had more sage flavor. The potatoes were good. What happened to the bottles of frappicino? will keep the food warm as it comes off the stove and is set for delivery. patience as we move through this process. which has four nights of free music, Monday – Thursday. The new menu is wonderful! Thank you for expanding the offering of quinoa in the chopped superfood! YUM YUM YUM! Also, thank you for keeping the vegetable chili. Although I’m a fan of the old soup crackers, I understand that there is an effort in updating menu items and for the adult palette, this is awesome. But that’s where it ends. My 3 year old, who has been a regular cafe patron for the past 2 years, doesn’t like the new mac and cheese. Now I know that you’ll go on and on about how wonderful the new recipe is, and I whole heartedly agree that the new choice of healthier ingredients is TKO, but it’s mac and cheese, and if the 3 year old doesn’t eat it, then, there’s a problem. Maybe it’s because there are adult sized noodles on the plate? Or maybe the flavor is just not what it used to be. The old mac and cheese used to be a slammed dunk. The other menu offerings don’t really scream “Little children will eat this”, maybe the older ones will. But please bring back the plain grilled cheese, with choice of white bread or multigrain bread. Also, during the transition, the temporary cafe offered a peanut butter and jelly sandwich that was served on the multigrain bread. When I first saw it, i thought (my then 2 year old) would not eat it, but was utterly shocked, and taken back when he was wanted more of the bread with the ‘seeds’ in it. Now, this may sound like child is a picky eater, but he is a very adventurous consumer of staple foods. 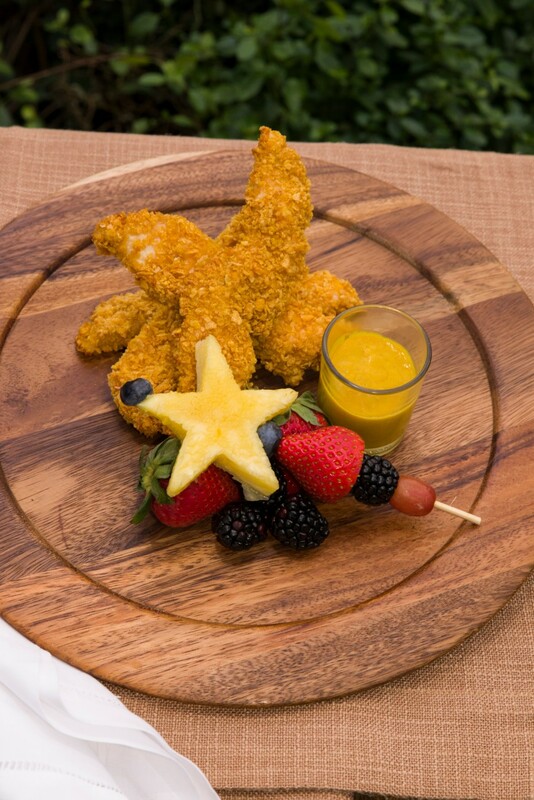 However cornflake encrusted chicken tenders isn’t going to win the day. And apple sauce is definitively preferred over baby carrots any day of the week from now until the cows come home. Thank you for taking the time to write about your visit to the newly renovated Garden View Café at the Chicago Botanic Garden. One of our goals in the renovation was to closely align our visitors’ experience outside in the gardens, with the experience they have inside the café. I am glad that you enjoyed the chopped superfood salad. Our new configuration makes it possible to serve salads like this. The offerings will change seasonally, so that what is served reflects what is actually being harvested in our region so that we can locally source as many ingredients as possible. As the mother of three children myself, I know that feeding your kids outside the house can be challenging. With our new children’s meals, we are trying to take children’s favorites and serve them in a manner which instills healthy eating, especially with items direct from the garden, hence carrots vs. applesauce. You do bring up a very good point though about peanut butter and jelly sandwiches. I have spoken to our general manager of food service and she will resume having those on the multigrain, “bread with the ‘seeds’ in it”(as you describe) in our grab & go coolers. I sincerely hope that you and your child will be happy to see its return. As summer approaches, I hope that you and your child will enjoy our offerings of the season, especially Dancin’ Sprouts, our free concerts for children each Wednesday evening at 5:30 and Butterflies & Blooms. I love everything about the Botanical Gardens, but especially the Garden Cafe!! I cannot wait to bring my parents back for a visit the weekend of July 12th! My dad’s been waiting almost 3 yrs to visit and am as excited as a clam at high tide! Keep up the excellent food selections. I enjoy every visit wholeheartedly! I hope the burgers are still as good as the one I had last year!!! Are there any gluten-free options available on the menu? The previous page states that gluten free bread is available and lists gluten free choices, but that’s all. Are the cooks trained in cooking to avoid cross-contamination for gluten free options? I love the garden and have always enjoyed the café, but since my husband now has to be gluten free, eating there is not an option for us when visiting the garden. Thank you for expressing your concern. Keeping in mind that our customers might require a gluten-free diet, we have developed many gluten-free options at the Garden View Café. Items include the Three-Bean Chili and many of our “Soup of the Day” items (just ask the cashier when ordering if the Soup of the Day is gluten-free). 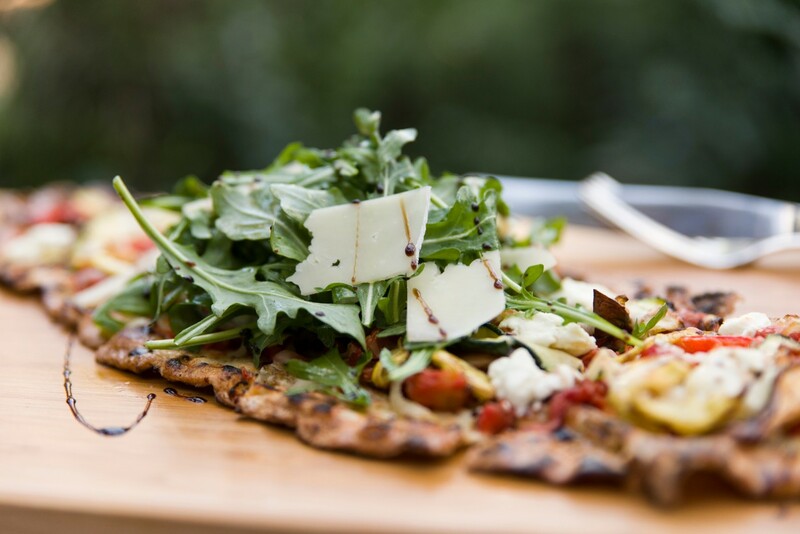 All of our salads, except for the Black and Bleu Salad, are gluten free; however, we do garnish each salad with a piece of flatbread. 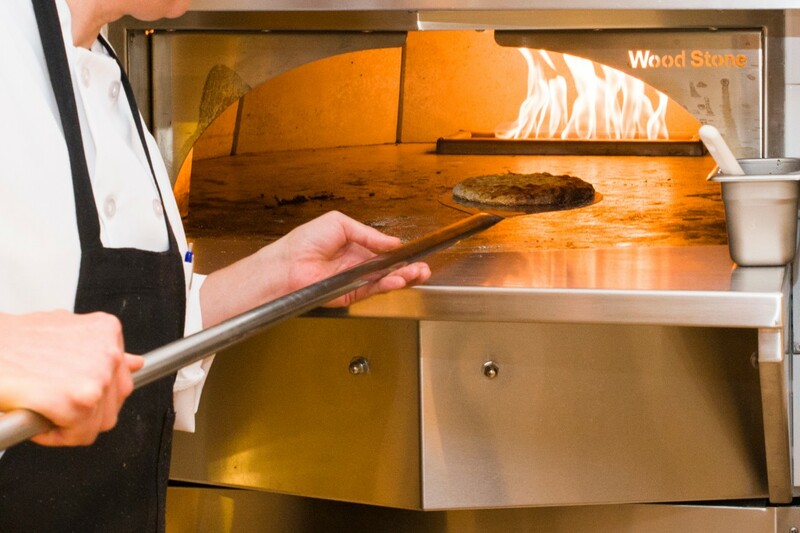 Unfortunately, the flatbreads and calzones are not gluten free, nor do we currently have a gluten-free crust. Please just let the cashier know that you would like your salad gluten free and we will omit the flatbread. The only item on the Black and Bleu Salad that contains gluten is the crispy onion strings, which can be omitted if requested. Our sandwiches are, as you mentioned, available with gluten-free bread, which makes only our eggplant sandwich a non-gluten-free option, as it has bread crumbs in the mixture. Any sandwich that is made on gluten-free bread is made to order according to the customer’s request. All of our sandwiches are served with house-made potato chips. Because the oil that the chips are fried in is used for other items that are not gluten free, the chips are not considered gluten free. We do not fry many items in the Café, so we only have a single, small deep fryer. We offer a side of seasonal fruit as an alternate option. I personally train our cooks on how to prepare items for a gluten-free request. We take every step possible to avoid any cross contamination with gluten products: we constantly wash hands, change gloves, use a knife that has been cleaned and sanitized and has not been used with any type of gluten product, and use a clean cutting board that has not touched any type of gluten. We prepare the item in an area where nobody is working with gluten. While we do take these careful steps to avoid gluten when preparing gluten-free items, we are not a gluten-free kitchen, and I cannot unequivocally promise no cross-contamination. What I can promise is that, short of being a gluten-free kitchen, we take every precaution possible to avoid any type of gluten when preparing a gluten-free item for our customers. I hope we see you in the Garden View Café soon. Please feel free to contact me via e-mail at Michael.Kingsley@sodexo.com or, if you are in the Café, please ask for me if you have any questions or concerns. If I can, I will personally make any gluten-free option that you request.